Recognition of our abilities was one of our key goals, so we are extremely proud to announce, that the Worcester Goalkeeper Academy has received Accreditation for its coaching from the Worcester FA. A massive thank you must go to all the coaches at the Academy and also those of the past, who have helped build it into a centre of excellence for Goalkeepers and Goalkeeper Coaches. 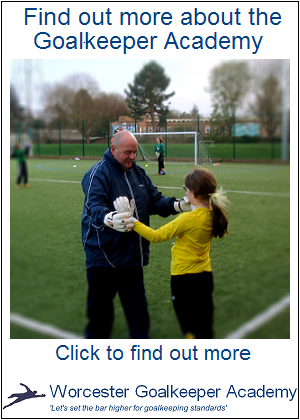 To find out more about the Worcester Goalkeeper Academy, visit the web site. Posted on Thu 25 February 2016, in Worcester Goalkeeper Academy and tagged Football, Goalkeeper, Goalkeeper Coaching, Goalkeeper Development, Goalkeepers, Goalkeeping, Soccer, Sport, Worcester Goalkeeper Academy, Worcester Goalkeeping Academy, Worcestershire FA, Worcestershire Football Association. Bookmark the permalink. Leave a comment.